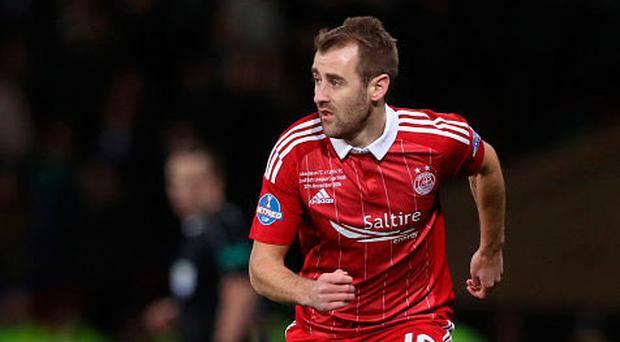 Northern Ireland international Niall McGinn says he didn't have to think long about rekindling his love affair with Aberdeen. The former Celtic, Derry City and Dungannon Swifts ace has signed a three-and-a-half year contract with the Dons following a brief spell in South Korea. Hearts and Hibernian were among the clubs interested in signing him, but the 30-year-old has returned to the club where he scored 68 goals in 223 appearances before an unhappy stint with Gwangju. "I had a number of options and had some very good options," admitted McGinn. "So I just went back home and relaxed and did not rush into any decision. But once Aberdeen came calling, there was only one place I was going. I am delighted to have everything signed." McGinn, who has 53 international caps, will officially rejoin the club on New Year's Day but has arrived back in the Granite City ahead of tomorrow's visit of Hearts.